Illustrator, painter, printmaker and teacher, Freedman was born to Russian Jewish immigrants living in poverty in the East End of London. In 1916, he worked as draughtsman to a monumental mason, and at the same time took evening classes at St Martin's School of Art. In 1922, he won a three-year scholarship to the Royal College of Art. In 1928, he joined the staff of the Royal College, and not long afterwards began to teach at the Ruskin School of Art, Oxford. He soon became a pioneer in the revival of colour lithography. He was an Official War Artist in World War II. 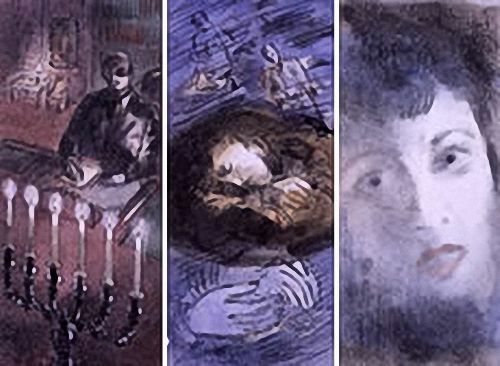 By the time of his death Freedman had established an enviable reputation as an illustrator and designer of posters, stamps, books and book-jackets. He believed that there was no such thing as commercial art, 'only good art and bad art'. His first exhibition was held in 1929 at the Literary Bookshop, Bloomsbury. A memorial exhibition was organised by the Arts Council in 1958. Manchester Polytechnic, which holds the Freedman archive, held a major show in 1990. Examples of his work are in the collection of the Tate Gallery.